The first rule of Sweet Swap, you don’t talk about Sweet Swap. Hmmm, okay not quite true, we want you to all shout to the high heavens that registrations for The Sweet Swap are now open. The first rule of Sweet Swap, you must make a sweet that hasn’t appeared on your blog before. This rule is true and is a must. That particular rule made me not want to share this recipe with you. 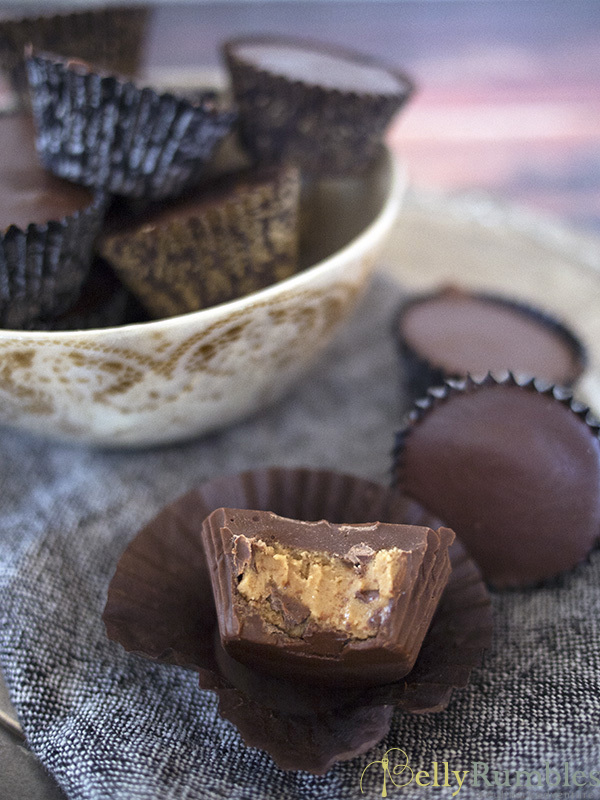 This amazing recipe is a twist on the very popular peanut butter cups. Apologies to those three that end up being matched to me and receive my sweets. You wont be getting these babies! I apologise because these are [email protected]#king good. I have to thank Amanda and her partner Scotty for bringing this YouTube clip to my attention. It sums up perfectly how I feel about these chocolates. I didn’t use Biscoff in my recipe. There are quite a few brands that make Speculoos cookie butter. Yup, it’s made out of ……. cookies, as per the clip. The brand I got my hands on was Thierry’s. Just like peanut butter, you can buy smooth or crunch. I used crunchy for this recipe to give the chocolates some extra texture. It worked brilliantly. If you can’t get your hands on crunchy, smooth will work just as well. I can’t express how good these are. Do yourself a favour and get your hands on some Speculoos butter, melt some chocolate and make them. They taste amazing and are pretty simple to make. Just don’t blame me when you have scoffed the lot. I can’t express how good these are. Do yourself a favour and get your hands on some Speculoos butter, melt some chocolate and make them. Line mini muffin trays with paper liners. 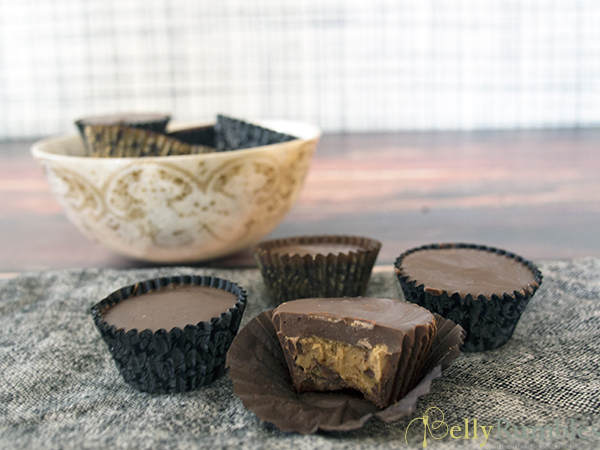 This recipe makes approximately 24 speculoos butter cups. In a medium bowl mix speculoos butter and butter until completely combined. Then stir in icing sugar. In a medium bowl melt chocolate and copha. I use the microwave to melt my chocolate. If you aren’t comfortable with that use the double boiler method. Place a teaspoon of melted chocolate in to a mini muffin paper. In your hands, turn and twist the muffin paper so the inside, and up the sides, is coated in chocolate. Repeat this with the remaining muffin papers. Then place a dollop of speculoos mixture in to each muffin paper. Press the mixture down with back of a spoon or your fingertips to flatter and get an even top. Over the top of the speculoos mixture spoon more chocolate until completely covered and it reaches the top of the muffin paper. Once set store speculoos butter cups in an airtight container in the fridge. You can get Speculoos butter in Australia, a good place to start is USA Foods. They have a comprehensive range of US goodies on offer. I purchase mine through them, but I am sure there are other places to get it. Are you a Speculoos fan? I can’t believe it’s Sweet Swap time already! I’m not sure Ill have the time this year but I’m looking forward to following everyone with green eyes of envy! its made from F*%($#*(ING cookies!!! Oh how we laugh at that video. 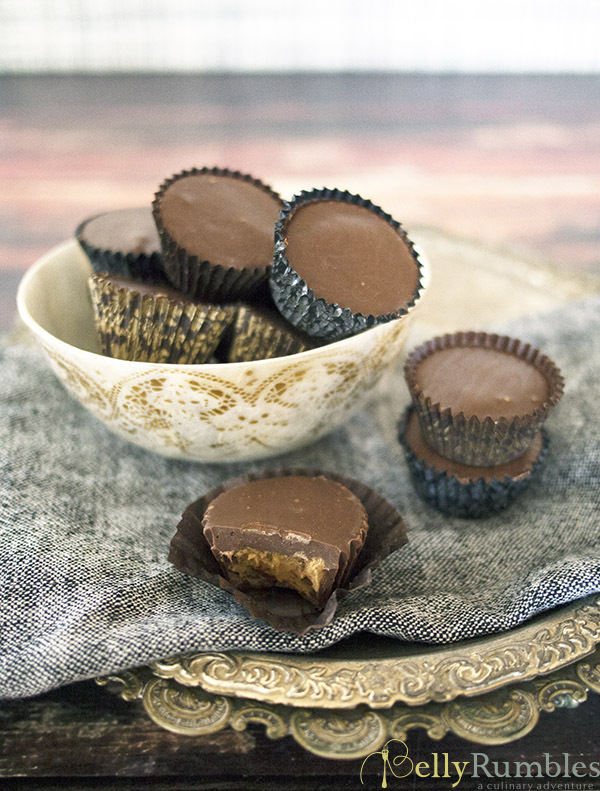 These butter cups are no laughing matter… they look spectacular! I’m a bit intrigued by this Speculoos butter now. I remember seeing at Trader Joes in New York last year and now I’m wishing I grabbed a jar. Yum!! I love speculoos and this recipe looks fabulous! I loved the song (whyyy do you build me up butter cup – Foundations) but never realized that I was singing about something edible 🙂 (yeah, English isn’t my mother tongue). I’m so disappointed I won’t be able to be part of the sweet swap this year 🙁 When I got the emails, I started making plans about sending sweets and realized I wouldn’t be able to eat any of the sweets I’d receive 🙁 Will have to wait until next year!